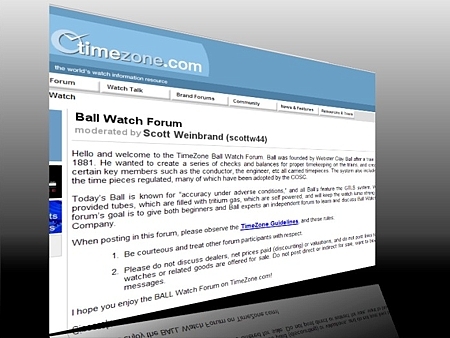 BALL Watch is proud to announce that the new home of the Official BALL Watch forum is timezone.com! If you love watches, join timezone.com and talk to thousands of watch lovers! Click on the link "More on this story" below to go straight to the Official BALL Watch forum.